Chris Hughton's side had won their last three games heading into Saturday's clash, but were outplayed from the outset, with Richarlison (26) scoring his first in wonderful style. Lewis Dunk (33) levelled for Brighton, but five minutes after the break Seamus Coleman scored his first goal in almost two years - and an error from Dunk then allowed Richarlison (77) through on goal for his second. Everton stay in ninth place with 18 points while Brighton drop down to 12th, with the Seagulls yet to win at Goodison Park in any competition after seven visits. 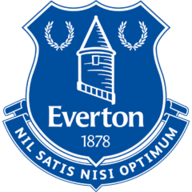 Everton: Pickford (6), Coleman (7), Keane (7), Zouma (7), Digne (7), Gomes (7), Gueye (7), Walcott (7), Sigurdsson (7), Bernard (7), Richarlison (8). Subs used: Lookman (5), Calvert-Lewin (n/a), Mina (n/a). 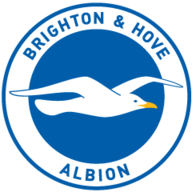 Brighton: Ryan (6), Bruno (7), Duffy (7), Dunk (6), Bong (7), Stephens (5), Kayal (5), Jahanbakhsh (6), Izquierdo (5), March (6), Murray (5). Subs used: Knockaert (6), Bissouma (4), Andone (4). Man of the match: Richarlison. Gylfi Sigurdsson had two great chances to give Everton an early lead. He skewed a shot across the face of goal before firing an effort into the side-netting after a wonderful cross from Lucas Digne. But Everton did make the breakthrough in the 26th minute. It was a marvellous breakaway from a Brighton corner, with Sigurdsson - who had started the initial break before playing a give-and-go with Bernard - slotting the ball into the path of Richarlison, who lifted the ball over Mat Ryan and into the top of the net. Seven minutes later, though, and Brighton were level. Alireza Jahanbakhsh played a short corner to Solly March along the left wing, and he then lofted the ball into the box for Dunk to nod home his first goal of the season. Both managers named the same 18-man squads from their last Premier League outings, including the same starting XIs. Idrissa Gueye hit the post in the opening three minutes of the second half, with Everton adding their second not long afterwards. It came from nothing as a tussle between Andre Gomes and Beram Kayal saw the ball poked into the path of Coleman, who fired home low and hard to put the hosts back ahead. It was his first goal since scoring against Crystal Palace in January 2017. Everton continued to see the better of possession and added their third in the 77th minute after a mistake from Dunk. His loose pass for Shane Duffy was intercepted by Richarlison, who turned around the Republic of Ireland international and rounded the oncoming Ryan before slotting home into the empty net. Jordan Pickford was called into his only save of the game with three minutes to play. After Everton failed to properly clear a Brighton free-kick, Anthony Knockaert slipped the ball down the right flank for Jahanbakhsh, but his effort on the angle was pushed over the crossbar by Pickford's fingertips. Yerry Mina also made a five-minute debut for Everton at the end of the game - having not featured since his move from Barcelona in August due to injury - and was given a warm reception by the Goodison Park crowd. England manager Gareth Southgate was watching on at Goodison Park, and will have had his eye on Michael Keane and Theo Walcott, who started for Everton. His No1 Jordan Pickford had little to do, although did make a good save when called into action. Brighton defender Lewis Dunk had a mixed afternoon - scoring but making a mistake for Richarlison's second - while Glenn Murray would not have done too much to force himself into Southgate's thinking. 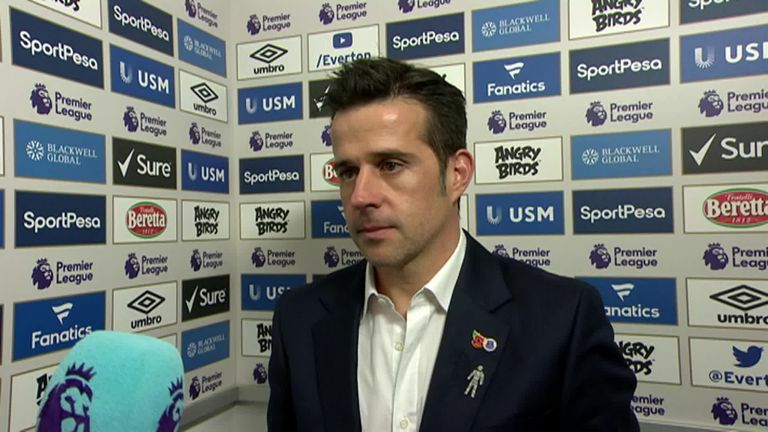 Marco Silva: "It was a pleasure to see how we played and how we won the game. Honestly, we really deserved the three points and, in my opinion, it was our best performance at home this season. "The only thing I didn't like was the corner when they scored to make it 1-1 because they didn't have a chance to score and Jordan (Pickford) made just one save at the end of the match. We controlled the match with the ball, without the ball we did well, but in that moment, we have to do better." 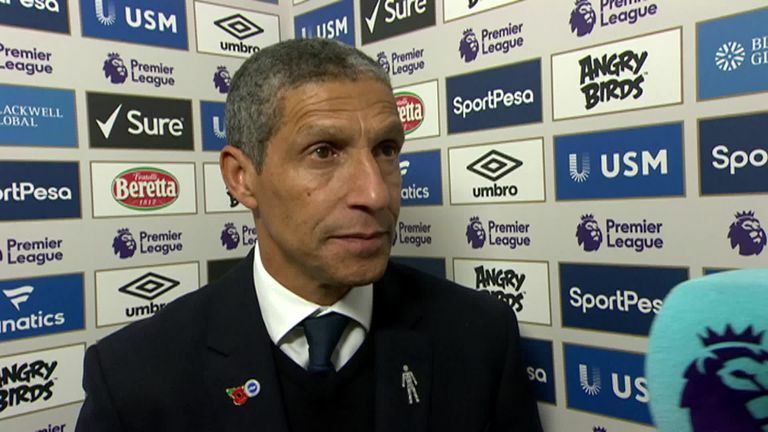 Chris Hughton: "It was a tough game for us. We're up against a team who have spent big but brought quality players in and at times that really showed today. "We had to dig deep and got ourselves back in the game. We had a really good period at the end of that second half, but at 1-1, we had to start the second half better than we did. Certainly, we needed to make sure we didn't concede as early as we did." Everton have enjoyed four wins in their last five Premier League games (L1), as many victories as they managed in their previous 14 in the competition. Brighton have managed just one win in their last 19 Premier League away games, drawing five and losing 13. 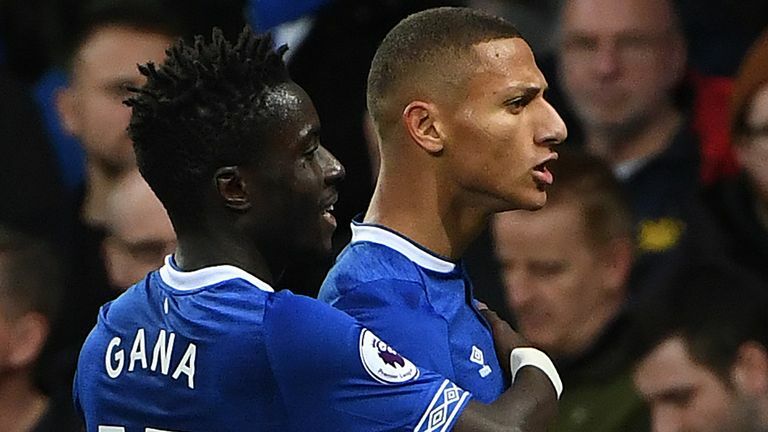 All 11 of Everton forward Richarlison's Premier League goals have come under manager Marco Silva (11 in 33 apps under Silva, 0 in 14 apps under Javi Gracia). 10 of Lewis Dunk's 12 league goals for Brighton have been headers. It was another fine performance from the Brazilian forward, who netted his fifth and sixth goals of the Premier League season. He was a menace in attack, drawing a number of fouls from the Brighton players, and took both goals well. His first was a superb strike while the second showed some great positioning and anticipation to get onto a poor pass. Both teams are live on Sky Sports next weekend, with Brighton going to Cardiff on Saturday for a lunchtime kick-off before Everton travel to Chelsea on Renault Super Sunday.